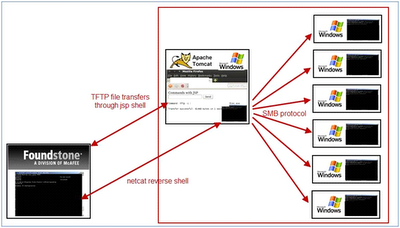 Apache Tomcat is a very popular open source implementation for handling JavaServer Pages. However, Apache Tomcat is often deployed with default or weak credentials protecting the web accessible Tomcat Manager functionality. Tomcat Manager allows administrators (and attackers) to upload and publish Web application ARchive (WAR) files remotely. 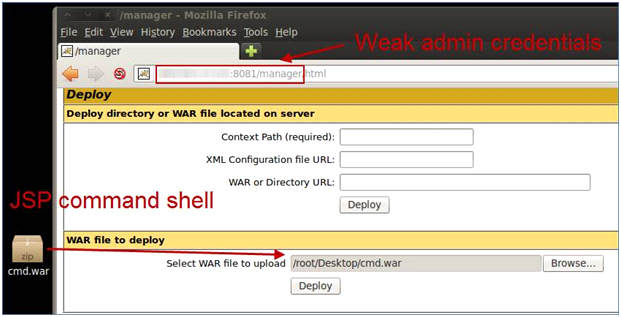 A very common initial foothold for attackers is to take advantage of weak or default Tomcat Manager Credentials and use this to remotely deploy and execute a payload to gain a backdoor to the host. The Metasploit exploit (tomcat_mgr_deploy) is the de facto exploit for this vulnerability and is usually rock solid, however I have seen a few occasions where it will fail with little-to-no explanation. Additionally, the host may have A/V or HIPS that catches the payload and it may be necessary to upload a custom binary or extra special treat manually instead of using MSF to deploy it. The information below is just one possible manual workaround if you don’t have the time to troubleshoot the issue. Tried automatic target and java payloads—nothing worked!! The steps and screenshots below illustrate how to deploy an alternative shell and provide a few ideas of what to do—note: these are only ideas; your plan of attack may be different depending on the circumstance. This is always a best practice to try to understand the code. Even if you are not familiar with the language, use Google and try to understand what the code is doing to the best of your abilities. It will help you learn how to effectively use the tool and may identify limitations or areas of concern. Remember, many commands you are used to running are a function of the command shell and are not individual binaries—such as dir. 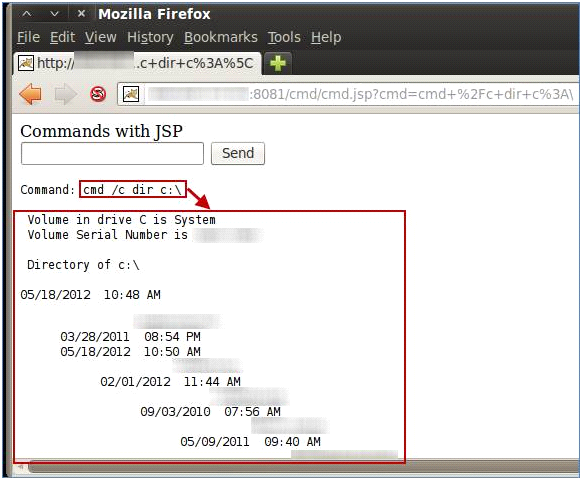 In this case, execute them by first specifying “cmd.exe /c [whatever]” (as shown below). Luckily the developer enabled the tftp client on this Windows 7 host. Wooot! We could not get a meterpreter shell to execute for some reason. I believe this had to do with UAC and the particular user’s permissions. So we settled for hex edited netcat (which is a step up from the jsp shell). This pivot host can now be used to not only attack the host itself, but also others in the network. You are only limited by the privileges that you can gain and your own imagination. For example, you could upload gsecdump in order to dump hashes, fpipe to portforward other protocols to bypass firewalls, or use Windows native commands in order to datamine and propagate to other hosts. Not the sexiest hack, but it is quite effective. Metasploit is a powerful framework that simplifies the attacks and adds fantastic functionality, but knowledge of the manual methods is a must—especially when your trusty tools fail and in-depth troubleshooting is not an option. This often comes up in our classes when students ask why we show multiple ways to accomplish a task... If you want to hack, you gotta learn how things really work and be able to bounce back if your tool fails. Very useful info once again by Mr. Lee! This technique will also work on the Apache Geronimo Console while the Metasploit tomcat_mgr_deploy module fails. Default creds on the Geronimo server are system/manager. 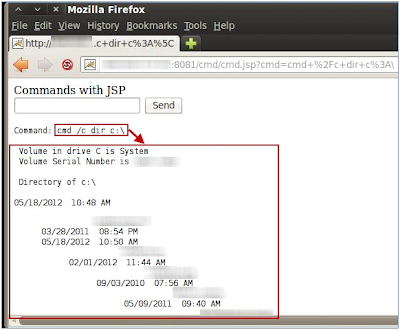 jar -cvf cmd.war -C warfiles .